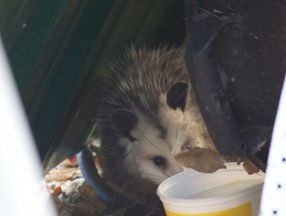 Bats, Beavers, Birds, Bobcats, Chipmunks, Coyotes, Flying Squirrels, Foxes, Ground Hogs, Moles, Opossums, Raccoons, Snakes, Squirrels, Skunks, Stray Animals, Etc. 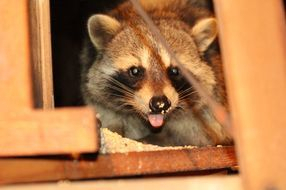 Wildlife Removal - Critter Removal - 24/7 - Call for all of your Critter Control needs. NO ANIMALS ARE EVER HARMED. ALL ANIMALS ARE RELEASED BACK INTO THE WILD! KEEPING YOUR HOME AND PROPERTY SAFE FROM ALL NUISANCE WILDLIFE WITH A 100% GUARANTEE. SAME DAY SERVICE. Wildlife Trapping and Removal of Brevard and Indian counties florida,safely and humanely 24/7. Florida is home to both Red Foxes and Gray Foxes. 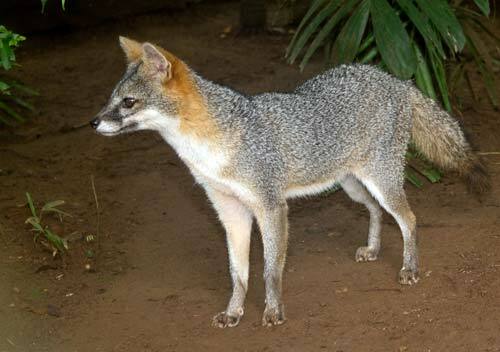 Gray Foxes often have a lot of red fur and may be mistaken for the Red Fox. The Gray Fox prefers to live in wooded areas while the Red Fox lives in uplands and weedy meadows, but both species will take advantage of denning opportunities provided by sheds and other outbuildings Foxes are primarily nocturnal but foxes active in the day time are usually seen in summer months, at which time they are raising and feeding young kits. More mouths to feed means more hours required for hunting! Foxes with kits in the area are also less likely to scare away easily, but this behavior does not necessarily indicate a threat. Sick foxes are identifiable by behavior such as walking in circles or swaying with their head hung very low. If this behavior is observed, residents should contact Corvias/FWC/Animal Control immediately. 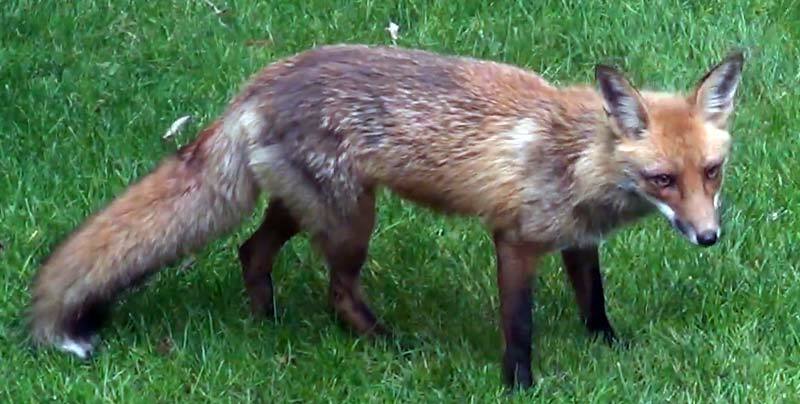 Regardless of behavior, foxes should never be approached, and it is illegal to feed them. Growing between 13 and 14.7 feet and up to 1,000 pounds the American Alligator is found all across the state of Florida. These reptiles are most active when the temperature is between 82 and 92 degrees. American Alligators are black with a light yellow throat and belly. These reptiles are threatened due to their similar appearance to American Crocodiles. 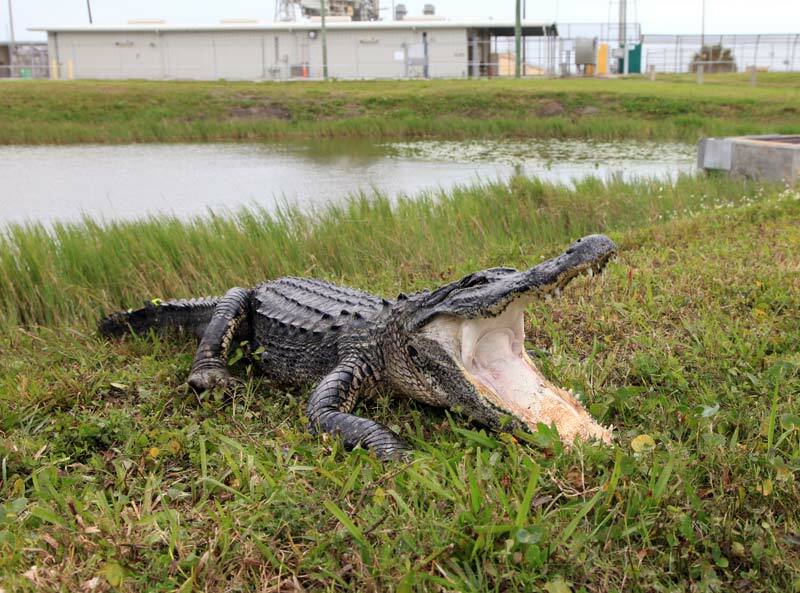 Additional information about the American Alligator is available here. Wild hogs are opportunistic omnivores that will eat just about anything, although they feed mostly on vegetative and insect matter. 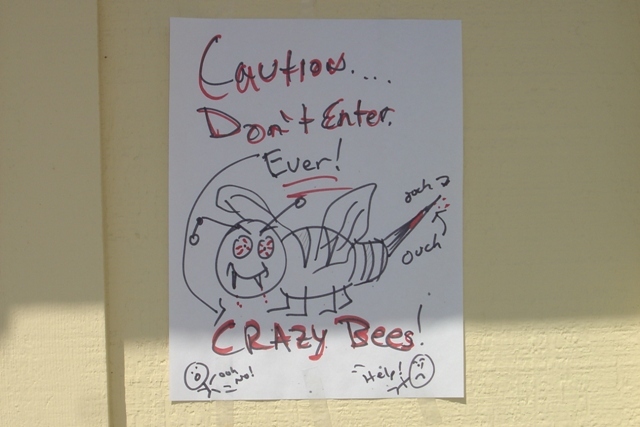 Food is a driving force for this exotic invasive species. Hogs can be very destructive and cause damage to fences and other structures by rubbing on them or knocking them down. They also have the ability to destroy lawns, small gardens, crops, trails, etc. by trampling and rooting around an area in search of food. 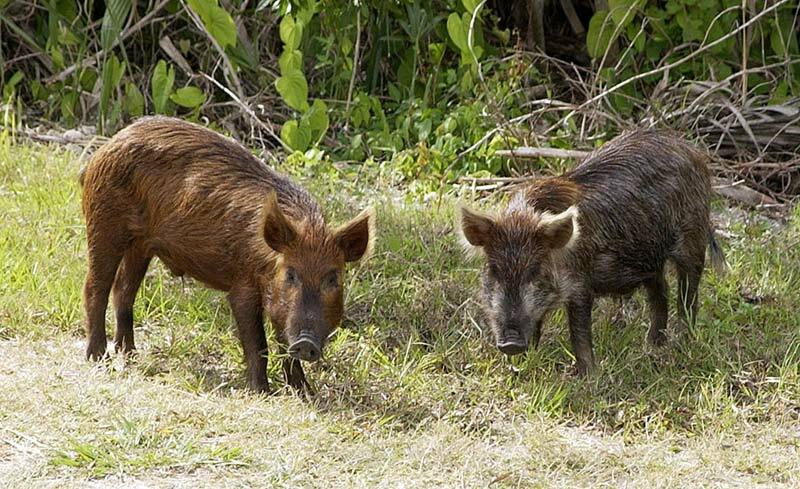 Like most wildlife, wild hogs prefer to run and escape or avoid danger. However, if they are cornered, injured, or with young, they can become aggressive, moving very quickly and potentially causing serious injury. 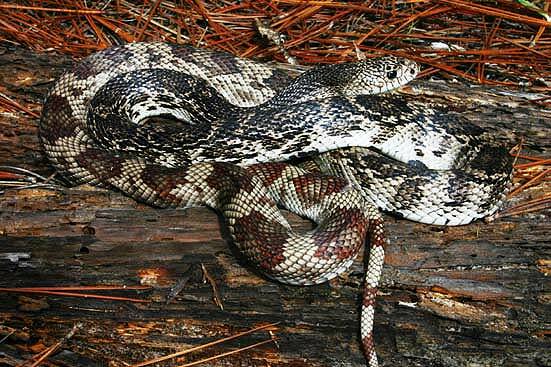 This nonvenomous snake is found across Florida. The Eastern Indigo Snake can grow up to 8 feet in length. These snakes are a shiny black/blue color. Most have a red chin, cheeks and throat, but some lack the reddish color and have white, brown or black features. 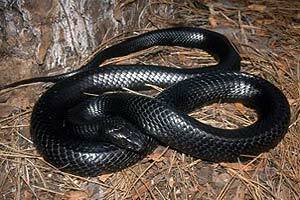 Read more about the Eastern Indigo Snake here. When it comes to solving the problem, our focus is on EXCLUSION (e.g. sealing up holes, finding points of entry and closing them, etc.). Afterwards we put into place TRAPS & BAIT STATIONS. TRAPS are used in areas such as crawl space areas, attics, garage areas, mechanical rooms, boiler rooms, closets, etc. BAIT STATIONS are used at the exterior of the home (note: we never place poisons or baits inside of ANY portion of the home, so that if a rodent is inside (somewhere - anywhere) it will NOT be likely to die inside and cause foul odors. Our BAIT STATIONS are heavy-duty high-quality units designed to SECURE the bait (so it can not fall out or be removed) so that children, pets or any other non-target animals are unable to access it.